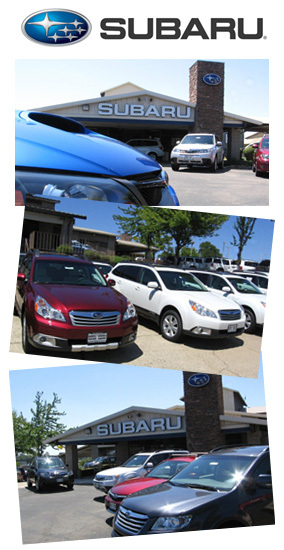 At Shingle Springs Subaru we love to hear comments from our customers! If you have any feedback for us, or any questions or concerns, please use our online Inquiry Form, and one of our friendly staff will be happy to get in touch with you as soon as possible. Whatever your question may be our Customer Service Representatives are here to help. 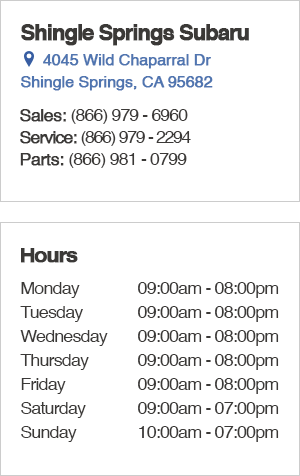 If you are wondering about any aspect of the new car buying process, are in need of a Genuine Subaru part or accessory, or your Subaru is in need of service or repair, we have the answers you're looking for. It will be our pleasure to contact you in your preferred method, either by email, by phone, or come on into the dealership! We look forward to speaking with you!